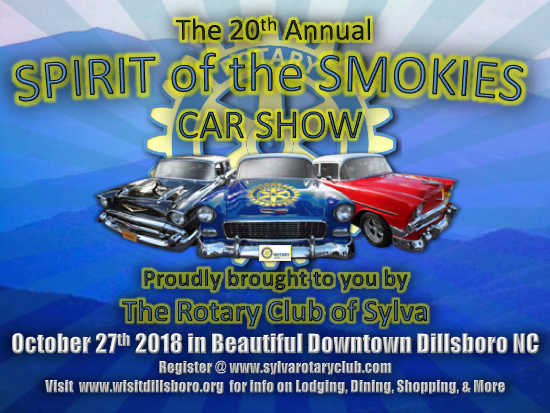 Come join us for our 20th Annual Spirit of the Smokies Car Show! It will be on October 27th, 2018 at Front Street in Dillsboro, NC. 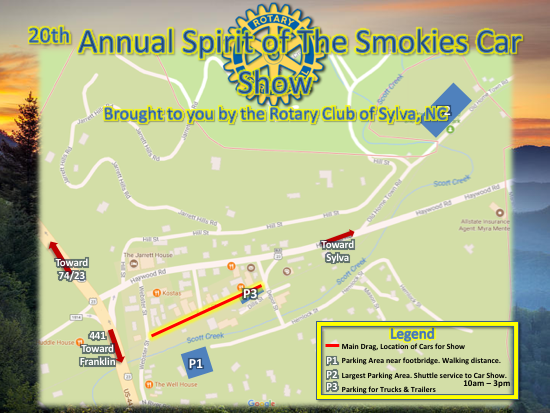 Sponsored by the Rotary Club of Sylva and Smoky Mountain Cruisers. All proceeds go to benefit local non-profit organizations. 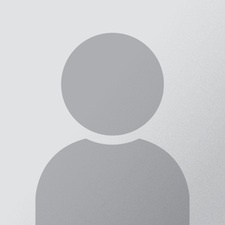 If you have any questions, please contact Mark Hinson at mark@smmparks.com.